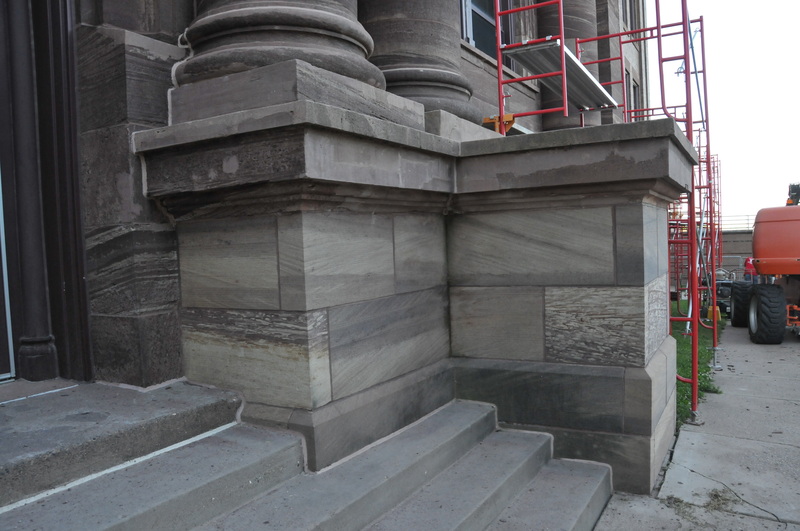 Marion Restoration was hired to help TNT Tuckpointing and Building Restoration Company restore stones on facade of Davenport Central High School. Davenport Central High School has opened its doors for students in 1907. Due to weather conditions during the building lifetime, the school has faced some critical issues. 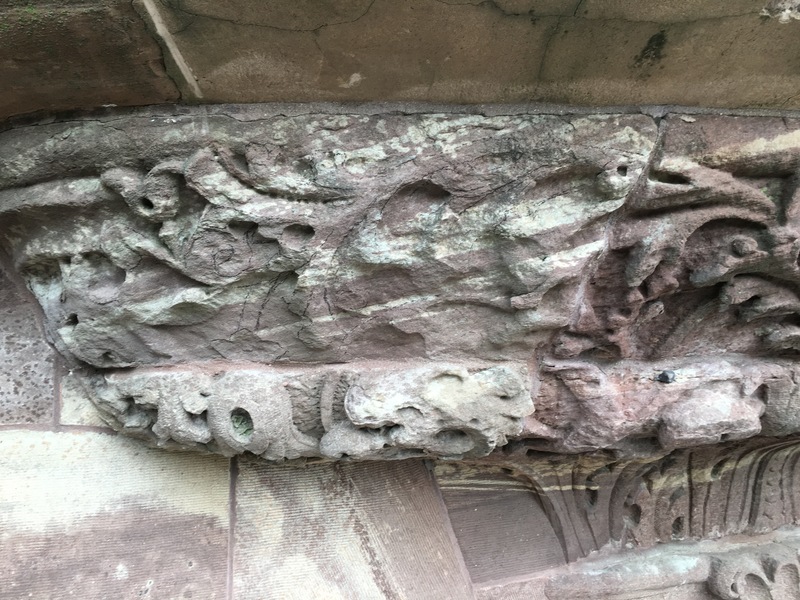 Our conservators have executed stone restoration work by removing unstable stones and unstable prior patching. We have neutralized salt, repaired stone fractures, remodeled spalled, eroded and missing stones. We have trained our other crew members in the use of heritage-quality stone restoration materials and effective stone restoration techniques.